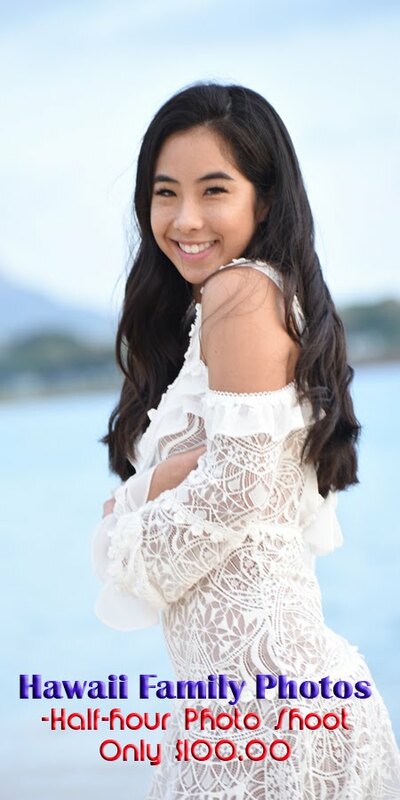 Beautiful beach with grassy areas and little coconut trees, peninsula and little island, awesome for family photos, located 15 minutes East of Waikiki. Grassy ocean-front park and beach, just one mile from Waikiki. 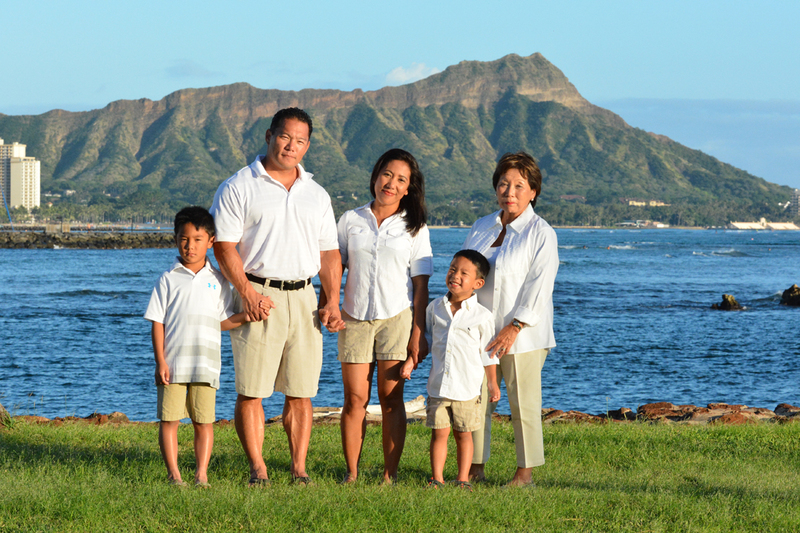 Beautiful sunsets and a great view of Diamond Head! Just steps away from Hilton Hawaiian Village. 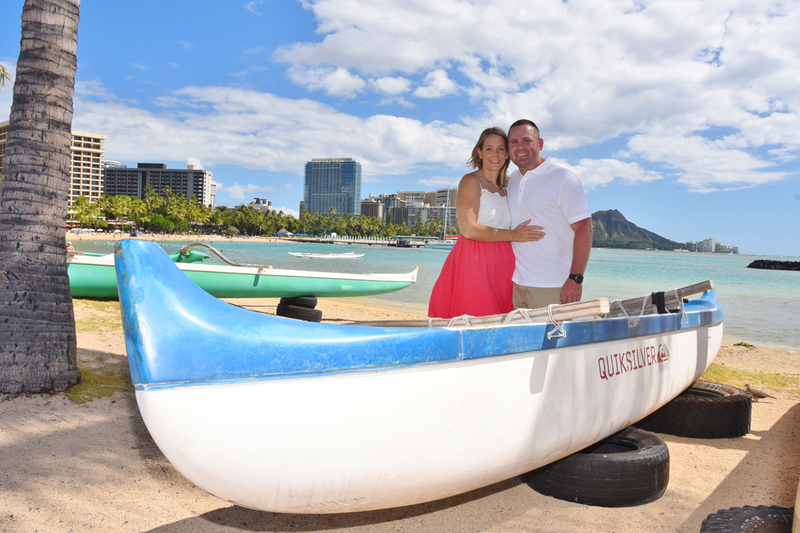 Wonderful Diamond Head view, coconut trees, outrigger canoes, and nice spot for sunset photos. Kahala Resort (near Kahala Beach) also has dolphins, sea turtles, and stingrays you don't want to miss!